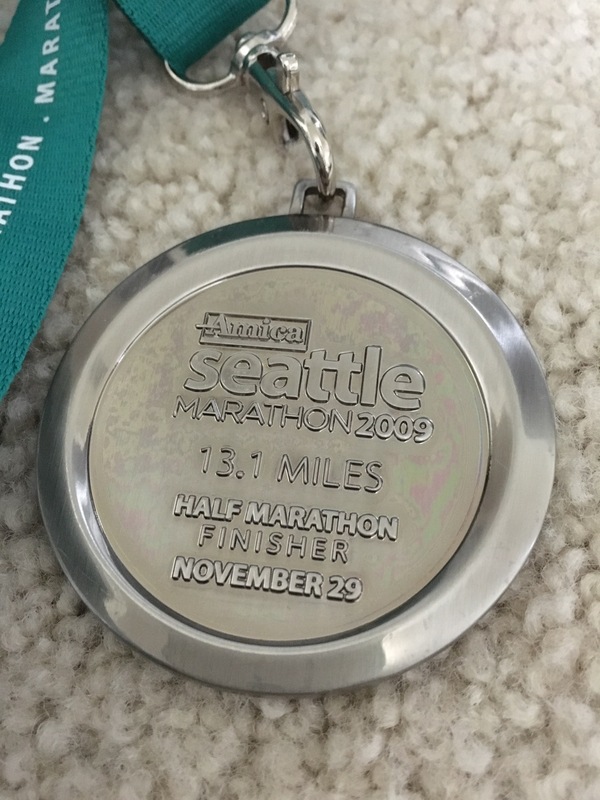 Seattle Half Marathon 2009 medal. This one is significant because this was my very first half marathon. My sister got me to run it and I ran it even when I was having knee issues. I ran/walked this one. It is a nice simple medal and I like how there are inscriptions on the front and back. 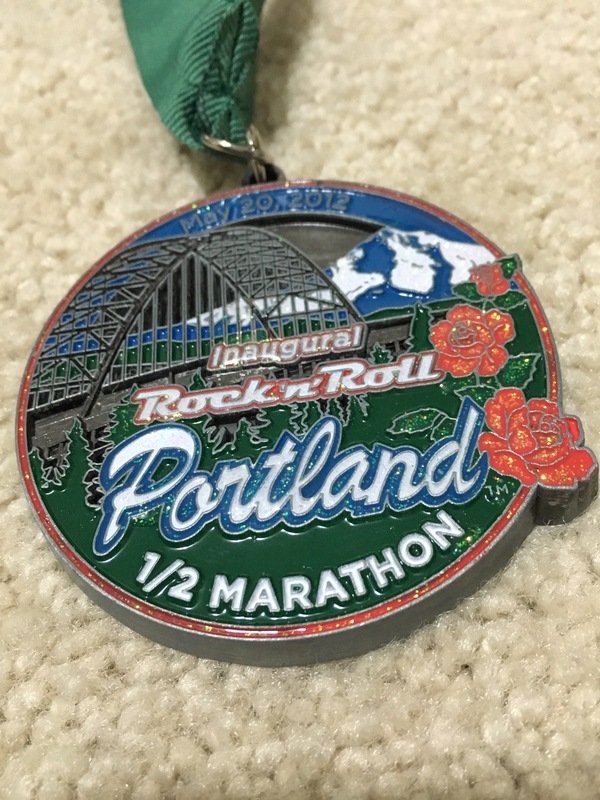 Inaugural Rock’n’Roll Portland Half Marathon 2012 medal. This was my first Rock’n’Roll race and I loved the crowds and music along the way. I ended up running this Rock’n’Roll race every year until this year when I found that it’s no longer offered. Sad that there isn’t a Rock’n’Roll in Portland now. Love the roses, bridge, and Mt. Hood graphics on this medal! Uberthons Halloweenathon 10k 2014 medal. This medal is cool! The skeleton’s eyes light up and the skeleton glows in the dark. The circular part where it says 2014 is also a pin that comes off that you can wear separately. It’s also pretty big and heavy which Uberthons medals are known for. Here’s my recap, Halloweenathon 10k. 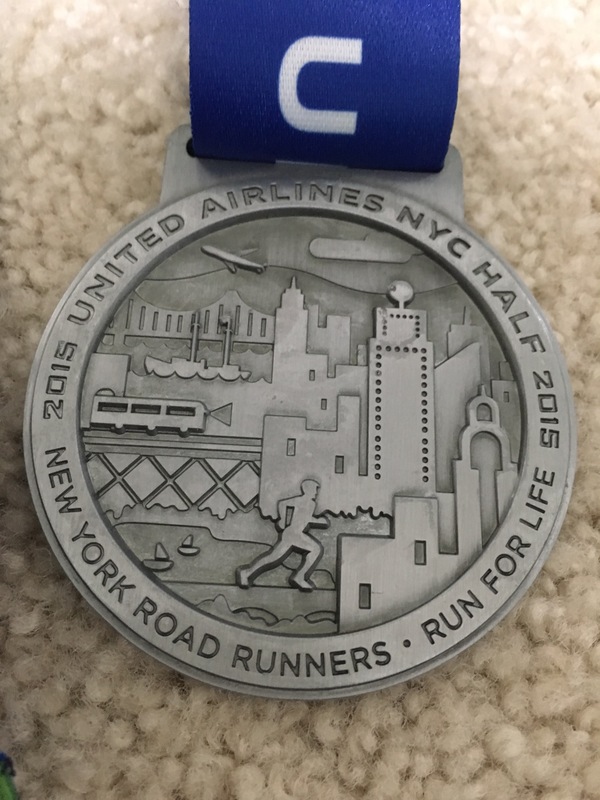 NYC Half Marathon 2015 medal. Love the detailing on this medal with the cityscape! This is also a memorable one since this was a lottery race and my sister and I both got in. It’s an awesome race to run through New York City and I PR’d! This is still my half marathon PR. The energy running through Times Square was amazing! 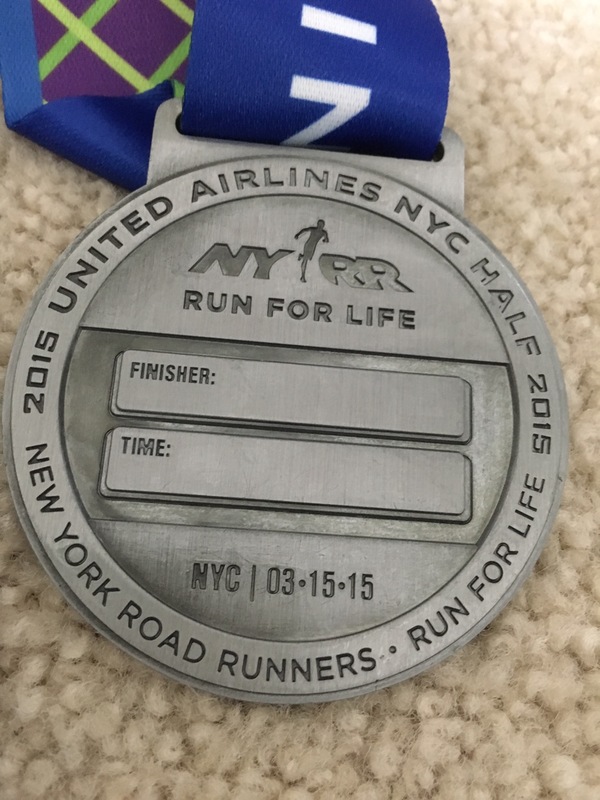 Here’s my race recap, NYC Half Marathon 2015. 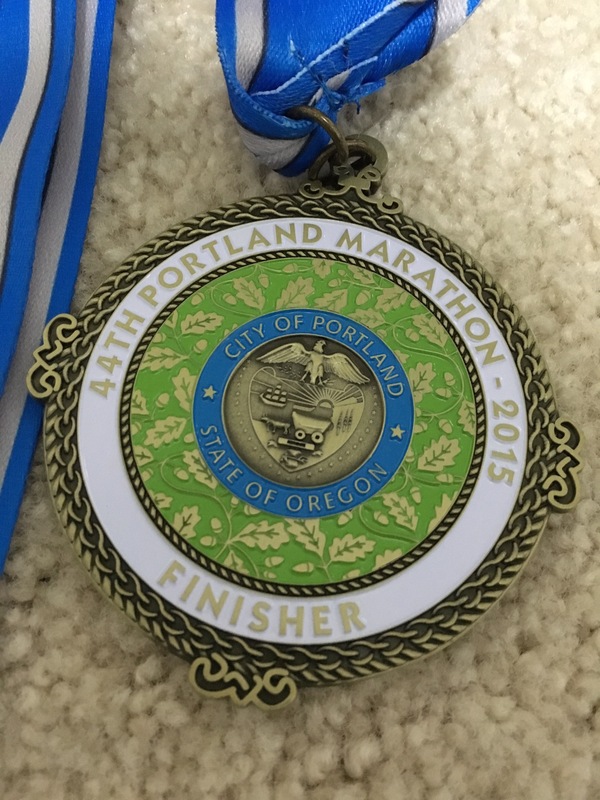 Portland Marathon 2015 medal. This medal is really nice with all the intricate detailing. It has a cool big rose on one side. This medal’s significant because it was my first full marathon. It sure was a memorable one. 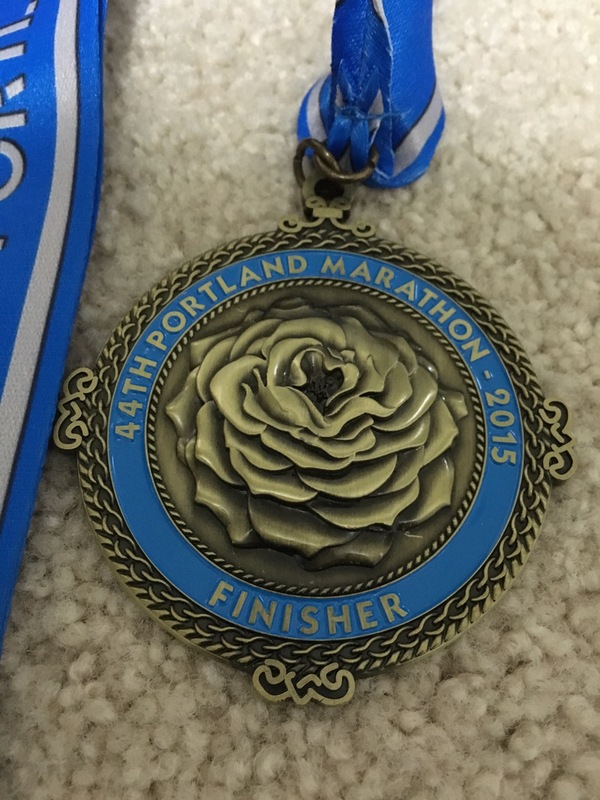 Here’s my recap, Portland Marathon 2015. 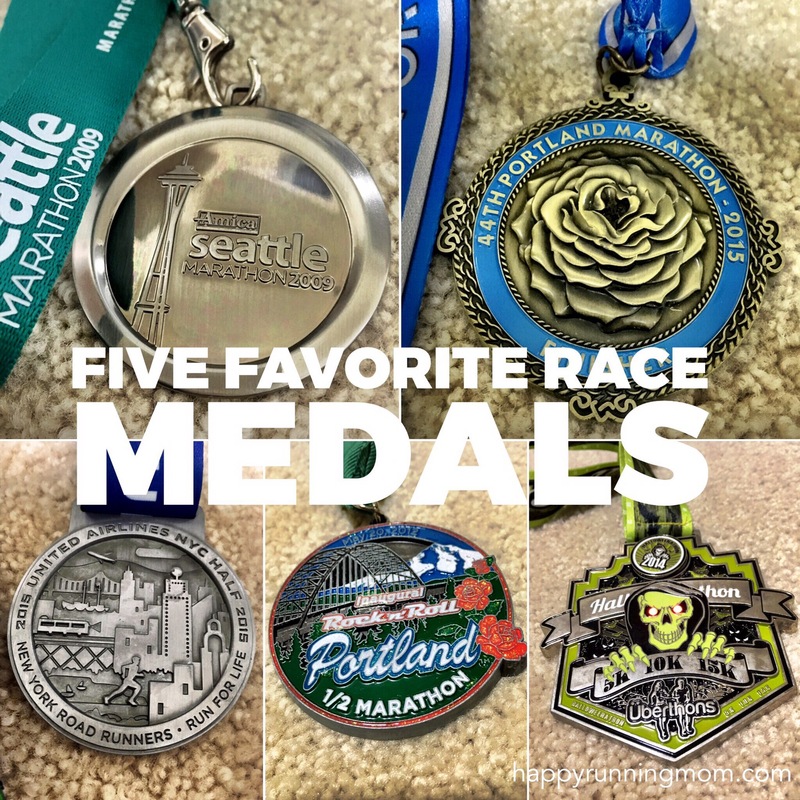 Do you have a favorite race medal? My two favorite medals are the handmade glass medal from Wineglass (very thick and solid) and the handmade horseshoe medal from Bird in Hand Half. I love posts about favorite medals. They all hold such special memories. My first half and full definitely are up there but I also really love some others – RnR Dublin which I ran with my Mom, and the Surf-n-Santa 5 miler which I ran with my now husband (our first race together). Thanks! Sounds like great memories! RnR Dublin would be fun and that’s cool you run races with your husband. Those are all really cool! I love the skeleton one! I think my favorite medal is one I have that was made out of the wood from a Jack Daniel’s bourbon barrel. You can still faintly smell the bourbon on it. Thanks! Wow, that sounds like a cool medal! That Halloweenathon medal is super cool!! My kids would get a kick out of that one! Oh I love the Portland medal!! It’s so pretty and intricate. My favorite is from the Rocky Mountain Half Marathon. It has long’s peak on it and a quote by John Muir on the back. The Rocky Mountain medal sounds like a nice one. Nice medals! Even though the medals aren’t the only thing great about races, It is a nice bonus. Afterall we run for the bling right? Thanks! Yes, the experience makes the race but it is a nice bonus that gives us something to remember the race. Those are some nice medals! 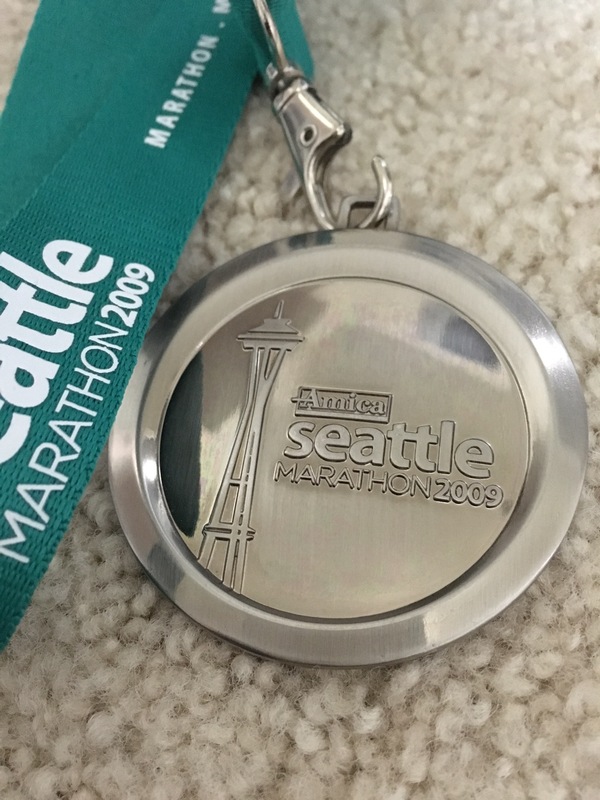 Always fun to see other’s favorite medals…we enjoy our bling collection too, my wife’s site name was loosely inspired by our medals! I have 2012 version of the Seattle one and the 2014 version of RnR Portland. My personal favorite right now is my 2015 Chicago marathon…not necessarily the best in the collection in terms of looks but great memories of a fabulous race and the first (and only) time I finally broke 4 hours. The RnR ones are all really cool though and we have several from Portland, Seattle, and Vancouver. Awesome! Way to go in the Chicago marathon! I love the Portland Marathon medal! All of those are very nice! I’m so impressed that the eyes on the skeleton light up. 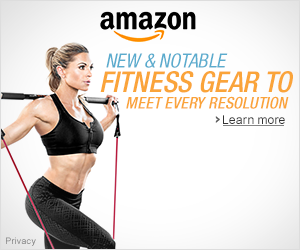 That is way cool! I think some of my favorites may be due to the experience itself, and not so much the medal design. The Portland Marathon medal is beautiful! NYC and MCM40 had beautiful medals…for a half I really like the Wineglass one.